What A Mother Can Do To Slowly And Safely Get Back Into Shape - I Am Proud Of My Kids! Every woman struggles with gained weight after childbirth. It’s normal for your body to be dramatically changed. Your muscles did stretch so you can carry the baby and the extra fat is your body’s way of preparing for breastfeeding. You are probably thinking that your body will never be the same and you belly will never be flat again. You shouldn’t get depressed! You gained weight for 9 months and it usually takes about another 9 months to a year to get back to normal with healthy eating and exercising. As I said before, you did became a mother and carried a baby for 9 months, getting back to shape can’t happen overnight. It’s important that you are patient and not pushing yourself. Give yourself a break and start when YOU are ready! It’s not healthy for you and your baby! If you are breastfeeding you need to eat more so you can produce quality milk. Your daily calorie intake shouldn’t be below 1800 and your weight loss goals should be reasonable (not 1.5 pounds per week). Dieting while breastfeeding isn’t very different from any normal healthy dieting. You should eat more fruits and vegetables and avoiding any type of junk food. Especially if you are breastfeeding, you need to increase your protein intake for about 60 grams per day. Nonetheless you shouldn’t completely avoid carbs, they are your quickest energy source. Avoid plain sugars. Instead, go for whole wheat and grain foods which contain complex carbs. Replace any kind of high calorie, sugar sweetened beverages with water. 8 glasses a day of pure water will help you lose weight, keep you hydrated and it will boost your metabolism. Also if you don’t like drinking water you can incorporate other healthy beverages like unsweetened tea, healthy smoothies or flavored water. 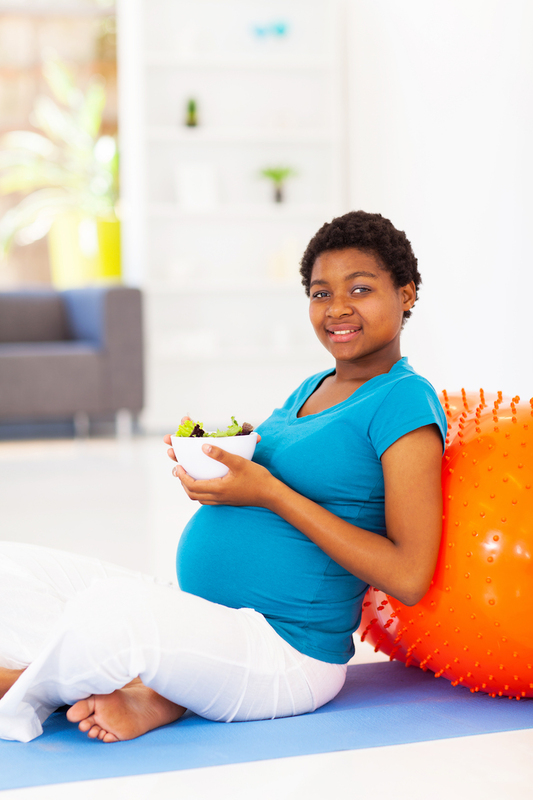 Wait until your baby is at least 2 months to start exercising and start lightly. 20-30 minutes training up to 3 times a week is more than enough to burn your baby fat. avoid running and other ‘’high impact’’ exercises in the first 6 months. Pilates – it’s time friendly and bit by bit you’ll go a long way. You can always go at your own pace and add new Pilates exercises with time. Yoga – great for stretching yourself and increase strength. However, you will still need something to make you sweat. Yoga combined with power walking is a recipe to success! Swimming – one hour of swimming burns approximately 400 calories! It also helps you boost your strength and tone your muscles. Power walking – another ideal way for working out that can be fitted in every schedule for an everyday mom. Be the first to comment on "What A Mother Can Do To Slowly And Safely Get Back Into Shape"